The white iPhone 4 has become the mythical beast in Apple's product line up. First expected to launch alongside the standard black iPhone 4 last year, the device got delayed multiple times and never came out. 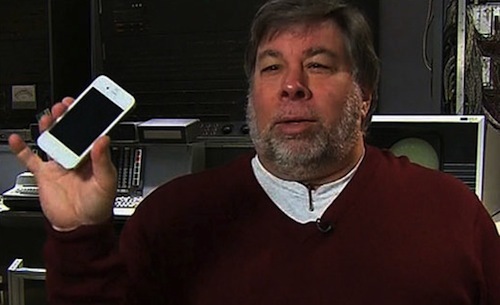 At the latest Engadget Show that aired tonight, Apple's co-founder Steve Wozniak confirmed Apple has fixed the problems with the painting of the white iPhone and that the device is coming out soon. He also said he got custom white parts from the kid who used to sell them online, and indeed those parts lead to light leakage issues and washed-out pictures. A report surfaced last week suggested a new Japanese paint has fixed the issues with the white iPhone, and the unit was spotted on various international carrier websites. Back in December, another report pointed to the iPhone 4 becoming available in "Spring 2011". At this point, we're pretty confident the white iPhone 4 is real and its production woes a thing of the past. We also believe, though, that a white iPhone 4 on Verizon's big launch day next would have been perfect.